The Fresh Foam Boracay continues with data driven design, which provides a revolutionary approach to neutral running by combining ultra-plush cushioning with a reduced 4mm midsole offset[i]. This update promises the same fit and feel but with an improved approach and smart updates to give runners a smooth, soft ride furthering the influence of data driven design. This series continues to appeal to runners looking for the latest in performance running innovation. By combining the intelligence and experience of a human designer with cutting edge computer software, the New Balance design team studied and applied the strike and impact patterns of runner’s data. The learnings from this research influenced sidewall shapes and geometries, and even a more intuitive top bed design for the one piece mid-sole foam that has incredible flexibility and ride. The Fresh Foam Boracay features a soft, plush upper lux to the foot, inclusive of our neoprene stretch tongue, designed for a comfortable lace up experience for this runner. The signature spray paint finish on the midsole and fresh, eye-catching design provide a lower to the ground running shoe ideal for any workout, or wardrobe. Fresh Foam Boracay remains a ground-breaking running shoe engineered to bring underfoot geometries alongside a cushioned ride with a blend of super soft foam. Neither performance nor style win out in this update, but equally contribute in this merge of science and style. New Balance, headquartered in Boston, MA has the following mission: Demonstrating responsible leadership, we build global brands that athletes are proud to wear, associates are proud to create and communities are proud to host. New Balance is currently the only major shoe company that manufactures athletic footwear in the U.S.; in 2013, 1 out of every 4 pairs of shoes we sold in the U.S. was made or assembled here. New Balance owns five factories in New England and one in Flimby, U.K. New Balance employs more than 4,000 associates around the globe, and in 2013 reported worldwide sales of $2.73 billion. 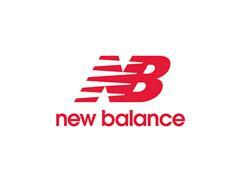 To learn more about how New Balance Makes Excellent Happen, please visit http://www.newbalance.com. [i] Due to variances created during the development and manufacturing processes, all references to drop are approximate.